Side booms work broken rail derailment of the eastbound (outbound) Arizona & Eastern train. Fort Thomas, AZ, 12/2004, MP 1153.0. 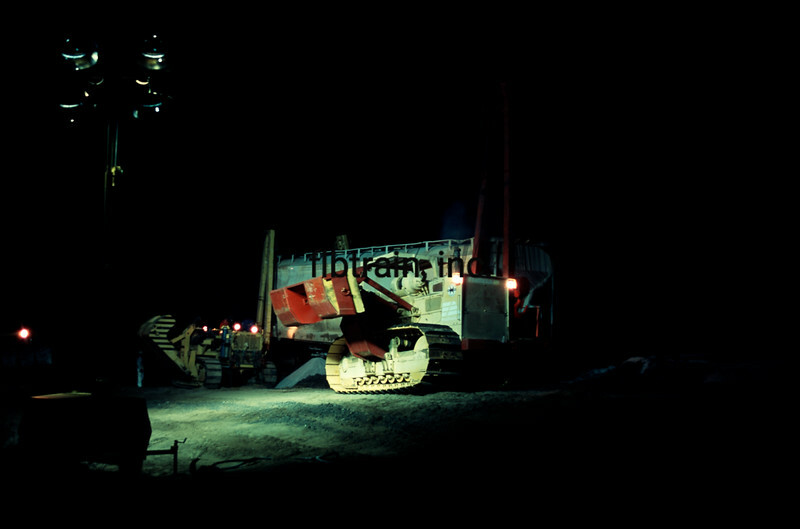 The biggest side boom I ever saw, a Fiat Allis HD 40, PL (pipeline) 120 prepares to lift a loaded covered hopper. That is a "Cat" D-9 side boom at the other end of the car. To me the dozer makes the hopper look like a model train.